New Zealand took a 1-0 lead in their three-match one-day series against Bangladesh and the Black Caps are 1-5 to win the second game in Nelson. Visiting opener Tamim Iqbal should have fond memories of the Saxton Oval, where he scored 95 against Scotland in the 2015 World Cup. The Tigers star faces a higher calibre of bowler in this series but he batted responsibly for 38 off 59 deliveries in the first ODI and Paddy Power’s runs line of 23.5 looks too low. He looks a more mature batsman these days, reaching double figures in 18 of his last 21 ODIs with three centuries and five fifties during that run. The Saxton Oval generally produces good batting conditions and the lowest first-innings total in six completed ODIs is 276-8. Brisbane Heat have been advised to hit more sixes than Sydney Thunder in this morning’s Big Bash game and there could be more batting fireworks tomorrow from Aaron Finch of Melbourne Renegades. The Renegades take on a Perth Scorchers side who lost to Sydney Sixers by six wickets yesterday after stumbling to 130-8 in their 20 overs. And the Scorchers should be wary of Australia opener Finch, who comes alive for the Big Bash. Last season the burly right-hander scored 246 runs in five innings, which compares favourably to his illustrious teammate Chris Gayle’s tally of 260 runs in eight knocks. 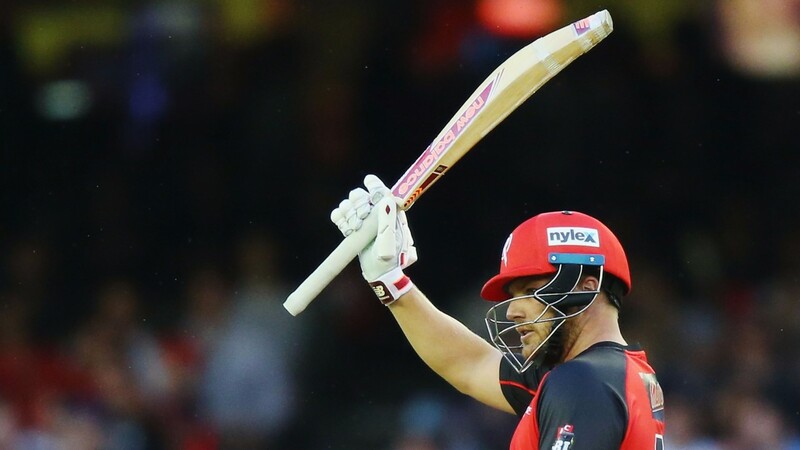 Finch reached 50 three times in five outings in 2015-16 and began this campaign with 63 off just 37 balls against the Thunder at Docklands, venue for the clash with the Scorchers. The 5-2 about him top-scoring looks tempting.